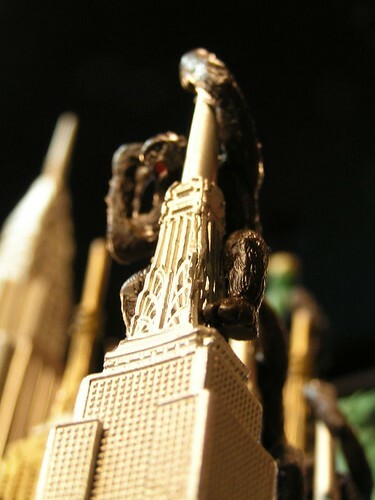 King Kong is a giant movie monster, resembling a colossal gorilla, that has appeared in various media since 1933. 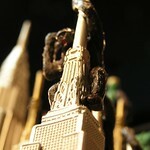 The character first appeared in the 1933 film King Kong, which received universal acclaim upon its initial release and re-releases. The film was remade in 1976 and once again in 2005. The character has become one of the world's most famous movie icons, having inspired countless sequels, remakes, spin-offs, imitators, parodies, cartoons, books, comics, video games, theme park rides, and even a stage play. His role in the different narratives varies, ranging from a rampaging monster to a tragic antihero.